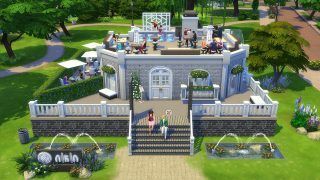 In The Sims 4 Dine Out Game Pack* you're able to create, own, and run your own restaurants. 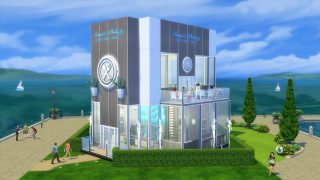 And thanks to The Sims 4 Gallery, Simmers from all over the world are able to share their creations. 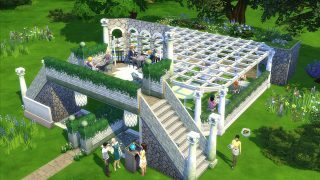 Want to see what other Sims fans are making with the new pack? We found some of the most inspired and creative lots made by the community. Sentiero Sabbioso by Vale1187. 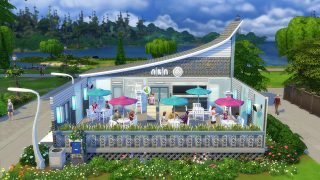 This is a great seafront style restaurant, with big side walls to offer a little shelter but a nice open-air feel. Yay! Garden Outdoor Rastaurant by scelestious. Oh gosh, what a gorgeous open intimate place this is! It feels like a little secret hidden away spot, perfect for date night. Ice Cream Parlor by Zombiena. Guys, come on. 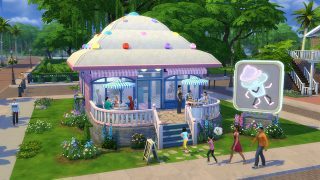 It's an ice cream parlor that looks like an ice cream. Honestly if we need to say anything more than that, it's probably not for you. Bluewater Corral by Carmiinaa. 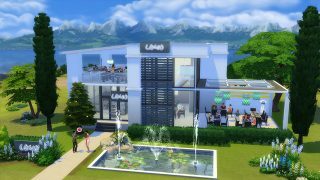 Your Sim is probably going to have to be pretty fancy to dine here, but look at this place! So spacious and symmetrical, so pleasing. Marzanno Italia2 by salzazet89. This Italian themed place is bound to make a great family dining spot! Wolftrap Bistro by Fluff9801. Modern dining at its finest! This place offers everything that a Sim could want in minimalistic, monochromatic meal times.